It is time for the Holy Spirit to get its own street cred There shall be no more third-wheeling the ever-present, life-sustaining, and empowering member of the Trinity. In this guide to the Spirit, Kim is putting the Holy Ghost back where it belongs; after all, the Spirit gave birth to the church and kept it rocking, rolling, revivaling, and transforming across time and culture. 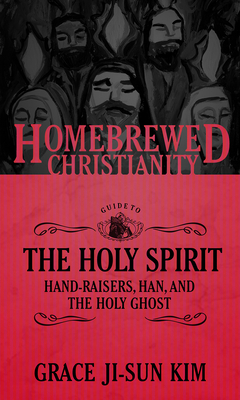 Throughout the book, you will get a taste of the different ways the church has understood the Spirit, partnered with the Paraclete, and imaged the Spirit in scripture. Most importantly, Kim brings together the tradition with contemporary culture, science, and the many tongues and testimonies of the global church. The compelling power of this volume comes from the creative interplay Kim orchestrates between images such as the Spirit as vibration, breath, and light and her powerful unpacking of different images such as the releaser of han, a Korean term for unjust suffering, or the concept of Chi.